DESCRIPTION Impressive townhome in the upscale Mosaic Mirage in McKenzie Towne! Popular & spacious 3 bedroom "Indigo" floor plan. Fantastic opportunity to buy newer without the hassle of building! Upgrades include laminate & tile flooring, granite countertops, tile backsplash, raised plant ledge & home integration package with ceiling speakers & CAT6 wiring. Modern kitchen also includes stainless steel appliances, pots & pans drawers, under mount sink & ceiling height maple shaker cabinets. Large master bedroom with 4 piece bath & walk in closet. Substantial front fenced patio for your outdoor entertaining. Private balcony. Double attached garage. Basement adds front loading washer & dryer, 61 gallon HW tank & ample storage. Roughed in central vacuum & garburator. High Street restaurants & shopping are just a short walk away! New South Health Campus Hospital, 130th Avenue & Seton major shopping areas nearby. Quick access to Deerfoot & SE ring road. Call your realtor to view! Home for sale at 325 Mckenzie Towne Ga Se Calgary, Alberts T2Z 1C8. 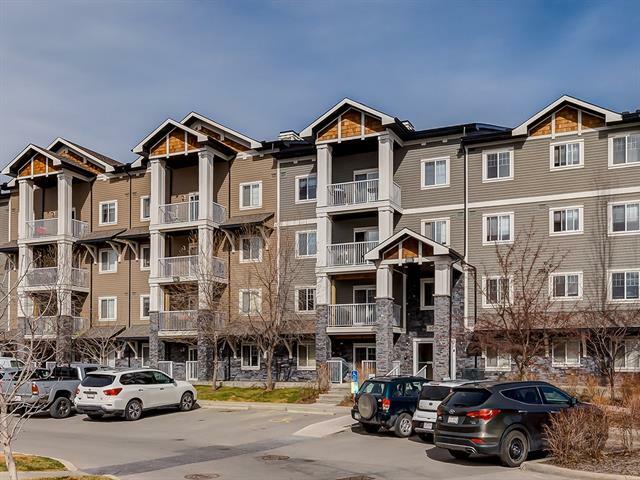 Description: The home at 325 Mckenzie Towne Ga Se Calgary, Alberta T2Z 1C8 with the MLS® Number C4238589 is currently listed at $349,900.